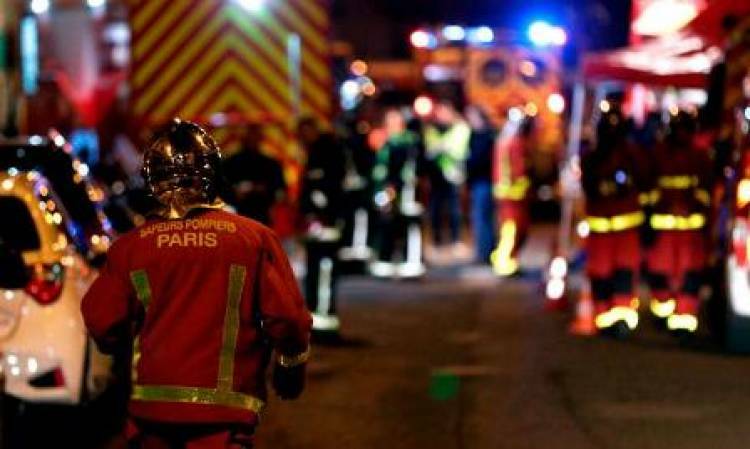 Paris: At least eight people were killed and over 30 injured on Tuesday in a blaze in an eight-storey building in the French capital. A suspect has been arrested in connection with the incident, the city prosecutor said. Prosecutor Remy Heitz said the police were questioning the arrested woman who is a resident of the building that caught fire at 1 a.m., and spread rapidly, reports Efe news. Heitz told the media that the incident may have been a criminal act, adding that the suspect was arrested not far from the building. He declined to provide any further details. Heitz said the toll was not final as the firefighters, who managed to control the blaze at around 6.30 a.m., were still going through the premises, and that one of the injured was in serious condition. Witnesses said the flames first appeared in the top floors. The blaze mainly affected the interior of the building, which has an internal courtyard, complicating rescue efforts. The fire department said two blocks adjacent to the building were also evacuated as a precautionary measure. Paris Mayor Anne Hidalgo tweeted that the city "is in mourning" and the Council of Paris opened with a minute's silence.